Nothing is as good as getting feedback from actual clients. Here's a quick snapshot of clients and their thoughts. Eric is absolutely amazing at what he does. I first started training with him after I had 2 kids in 3 years.....within 6 months he had me back in shape, in fact, in even better shape than before the kids. We have continued our program for several years now and I'm still seeing results. And, it's more than just the weight-training and cardio-burn, Eric has become a great friend who makes training fun. It is an amazing feeling to have people still come up to me in this stage of my life and ask how I stay in such great shape. Thanks Eric!! I went to Eric for what I called a "motivation intervention". Being a mom of a four year old little boy, it is hard enough to find time to do things like take a shower and go to the bathroom let alone prioritize to take care of myself with things like working out. I have been thin my whole life, but once I hit my 40's...lets' just say time and a pregnancy later in life hasn't done my body any favors. When I showed up scared out of my wits at Eric's Studio in Kaimuki, he made me feel relaxed and comfortable. All the things I THOUGHT a trainer was going to do like make me feel bad for not being in better shape...or pushing me till I wouldn't be able to drive home DIDN'T HAPPEN. I was amazed at how well he knew my limitations and how to work with them. By the end of my second week I was stronger, healthier and most importantly MOTIVATED to keep putting my physical health as a priority. And the few times I couldn't find a sitter for my son...Eric said no problem bring him with you and we'll put him on an exercise schedule too! And my son LOVED being there! I am so glad I found Eric at a time when I thought I was physically and MENTALLY beyond help. He showed me how to do exercises at home and on the road when I travel, and empowered me to get myself back on track to being healthier, and stronger! When you train with Eric Yamashita you get all the tools you need to make that physical and mental transformation to a STRONGER HEALTHIER YOU! Eric has been my personal trainer since 2001. Today, he’s more like a “life coach” to me. Any personal trainer can help you transform your outer appearance. With Eric we’ve worked on and continue to work on some difficult inner challenges that I face after years of being obese. 1. "It’s about the journey, not the destination"
2. "Just do it- don’t think about it"
3. "Let’s take it to the next level"
4. "Believe with blind faith and commit"
Oh yeah, one more, my favorite - "Rest!" Eric is the ultimate personal trainer. He understands human physiology and customizes each person's training session according to their body type, goals and limitations. As we get older, we need to understand and respect the changes going on in our bodies. How we take care of ourselves now is going to greatly determine how we live for the remainder of our lives. I personally have had back problems that required major surgery and physical therapy. From a medical perspective - it's obvious that Eric has an extensive knowledge of the human anatomy and is able to train not just healthy people - but also those with disabilities too. My wife Aimee is pregnant and there is no one I trust more to train her than Eric. He trains us as a couple and tailors the exercises according to our needs. He is a great motivator and an entertainer. Working out is thoroughly enjoyable and in between sets, there's always time to laugh and talk story. We look forward to every session knowing it's not just good for us - but fun at the same time. The bottom line is: He's the best trainer I've ever worked with. I have trained with Eric for several years. He is not only a motivator and a source of inspiration, but is the best trainer in town. He really cares about his clients beyond his duties as trainer. 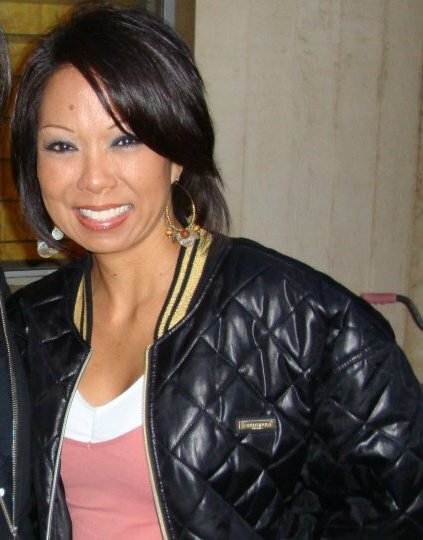 My name is Gina Johnson. I am a 43 year old woman with 4 little boys ages 9,8,3,&18mos. These past years I’ve been raising my family and supporting my husband w/his in his active duty military career. I have a background of fitness, but having my fourth child I was looking for a different exercise program that would get my fitness level back in a short period of time. I realized having four active young boys, it was necessary to have the fitness level to keep up with their energy. I approached Eric because I know he has been doing personal training. I have known Eric for over 20 years. He is part of our ohana. I didn’t realize his studio was so close to home so I didn’t have to fight the busy town traffic. Going to his studio was stress free because the parking was right in front of his studio. His studio is always clean and tidy. He scheduling with his clients are very accommodating and organized. Eric is always on time. When you are a mom and wife, you don’t have much time to waste and you are on a very tight schedule. At his studio, you don’t feel like you are on display and you never have to fight the crowd. Now when I go to my gym, I feel like my personal space is always invaded. I got spoiled working out at Eric’s studio. Eric is a father and he too realizes the challenges as a parent and the importance of incorporating a fitness routine. Eric’s workouts are always different and introduces new exercises to your routine. I like his no nonsense approach to the workouts. He utilizes the workout time to the maximum level. Doing Eric’s workouts, I also improved my aerobic and anaerobic fitness level. As a mother and wife, I highly recommend Eric as a personal trainer. Being a mom and living a busy life, you tend to sometimes lose your own identity and forget about yourself. Having that extra assistance with my workouts is worth a lot because I know I am improving and doing something for myself. Ever since I was 12, Uncle Eric has been my trainer. I like training with him because he helps correct the way I workout. Another thing I like is that he takes his job serious and he loves what he does. Over time, Uncle Eric has become more than a trainer to me, he has become my friend. When I first started working out with Eric, we met three times a week for one month. I came in with numerous injuries (rotator cuff and shoulder pain and bulging disk in my vertebrae) and Eric was always very aware of these injuries and let me know which types of exercises to avoid. He also monitored these conditions during our workouts and adjusted accordingly. Eric’s commitment, focus, and direction are the basis for a great trainer. I have a very hectic and busy schedule and Eric is very flexible and works hard to keep me on my program. He provides me with supplements, what to eat on a daily basis, and he keeps me on track and in shape. I’m stronger, more agile, and have more energy then I have had in years. More importantly, I was able to reduce the amount of medication for my back pain suffered in an car accident. For the past 4 years I have had cortisone shots in my lower back. I was getting 3 cortisone shots every 6 months, which is the maximum allowed. Thanks to my new found fitness level, I've only had 2 shots in the past year. I started training with Eric Yamashita in August 2004. From December till the present, I have reduced my medication to only 1 MS Contin 15 mg a day! Eric truly cares about his clients and demonstrates that through his fun personality and friendly techniques that truly work. If you are looking for someone who will be loyal, dedicated, and committed to helping you achieve your personal goals, Eric is the right trainer for you! Training with Eric Yamashita has truly balanced my life. I am not pain free, but I am positive and truly grateful to Eric. Without him, I would still be popping pills just to walk! Inspiration. Experience. Compassion. Humor. These are a few of the words that describe Eric Yamashita’s approach to fitness and life. Having him as a best friend of course tops it all, but I was at a point where my training in the gym was stagnating. I needed a change-up and Eric needed a training partner to prepare for the USA Championships. INSPIRED by his tenacity, drive and passion for the sport was a huge boost to my workouts and gave me a renewed sense of spirit. EXPERIENCING his dieting and training regimen put me back into a size 30 pant. Witnessing the COMPASSSION he had for fellow competitors, whether winning or not, showed me what I already knew was there inside. Eric’s sense of HUMOR….. this is something that one should and must experience for themselves. His innate ability to make people laugh (and cry from laughing) is always on the mark. I’ve always said that in another life he must have ruled the stage as a comedian. It was natural progression that led him to his career as a personal trainer, and the philosophy of natural progression is what I experienced training with him. As you become more aware of your capacity and everything you can achieve in the gym, Eric is there, making sure that your LIFE is progressing, that your spirit is growing as well as your passion for fitness. We ALL have this within us, Eric is one who possesses the gift to bring it to fruition. ENJOY THE RIDE!!!!! THE BEST PERSONAL TRAINER ANYONE COULD ASK FOR!!!! I’ve always admired women with toned, sculpted bodies and aspired to look like them someday. On numerous occasions, I actually started weight training in hopes of achieving that sculpted physique but a combination of excuses and bad experiences kept me from succeeding. I joined various exercise clubs and even hired their “staff trainers” hoping to transform my body with their instruction and guidance. Each attempt proved disappointing because I didn’t get the results I hoped for and I never felt comfortable with the trainers I got at those clubs. As my 40th birthday approached, I vowed to get serious about establishing a regular exercise routine for myself and joined “The GYM” (now Gold’s Gym). I attended group exercise classes regularly and tried weight training on my own but my body wasn’t undergoing the transformation I yearned for. By chance, I met Eric Yamashita there. I was impressed with his pleasant, outgoing personality so I inquired about personal training sessions with him. What a blessing Eric has been for me!!! With his extensive knowledge of weight training and proper nutrition, he formulated an individualized program based on my goals and guided me toward achieving them. Within months, I began to see results – I looked and felt better! Eric has been my trainer for over two years now and has helped me attain my goals of exercising regularly, eating better, and having a more toned and healthy body. His expertise and constant encouragement have kept me motivated and I cannot thank him enough for improving my life!!! Not only has he helped better my health and physical appearance but he has also helped me to have more confidence in myself!!! Now, exercising has become a regular part of my daily routine and I actually look forward to working out. It’s become my “healthy addiction”. Eric, you’re the BEST and I am forever grateful for the positive changes you’ve helped me make in my life!!! I have played competitive soccer for over eighteen years which included playing for a NCAA Div. III college team. I had always been active throughout my school years and because of all of my soccer, I felt that I had all of the tools that I needed to lead a fit and healthy lifestyle. But as my wedding to my high school sweetheart approached, I realized that my 5’1” frame had reached 147 lbs and my size 12 clothes were getting even tighter. I tried things on my own but in one year I was only able to lose about 10 lbs and drop one size. With my wedding only three months away, I needed something more effective. A friend recommended Eric and we started meeting three times a week. At first, I was only interested in working out and after a year of dieting, I did NOT want to change my eating habits. Eric listened closely to my needs and as time went on he would give me little tips on how to eat healthier without feeling like I was dieting. The more we worked out, the healthier I felt and I was increasingly motivated to eat better and my body started showing the improvements. All my hard work and guidance from Eric really paid off and today I can happily say that I weigh 122 lbs, wear a size 6, and my body shape has really changed. I am more fit and leaner than I was during most of my college years, and even while I was playing competitive soccer! Although my wedding is long over, my commitment to a healthier lifestyle is going strong. Eric has really taught me how to make simple and small improvements in my life which have had an immense impact. He has taught me to enjoy working out and even miss it when I don’t do it. He motivates me and reminds me that I AM worth it. Have you ever gotten to that point in your life when you hit that proverbial "wall" ? Be it either professional, physical, whatever? Well, like most of us, I hit the physical wall running !! I had reached a point in my workouts where I felt like I was stagnating, and not getting out of it what I was putting in. At one point I was ready to stop the workout process and go back to sitting on the couch, eat junk food, and watch T.V. I had always admired the way that he balanced training his clients (now friends); making the experience enjoyable, educational, and conducive to lifestyle. I saw the people that he was training were always smiling, laughing, and most importantly, achieving their goals. His professionalism and personality convinced me to start a program with Eric. Since training with Eric for over 6 months now, I have gotten over that "wall of stagnation" that I hit at the gym, and have made great strides in my physical developement. Not only does he guide me through each excersise step-by-step, but explains what it is meant to do, and how it affects my body. He has helped me with a nutritional & excersise program that has helped me loose over 15% body fat, increased my energy, build mass, and up my self esteem. I've made such signifigant improvements, that I'm going to be entering my first body building competition this year. Eric is dedicated to his clients, focused (doesn't talk on the cell phone while he's with you), highly knowledgable & imformative, and most of all, fun. He has help me take my workouts from something that I had to do, to training that I want to do. 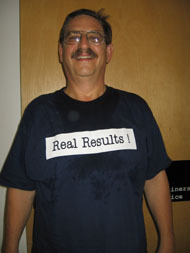 You want results, this is your man, no doubt about it. A year and a half ago, I hurt my left shoulder and I was diagnosed with an impingement problem. I had xrays and MRI done and there were no torn ligaments found. I embarked upon a long journey of cortisone shots, physical therapy and acupuncture to try to help me get over this painful problem of not being able to lift my arm higher than my shoulder. 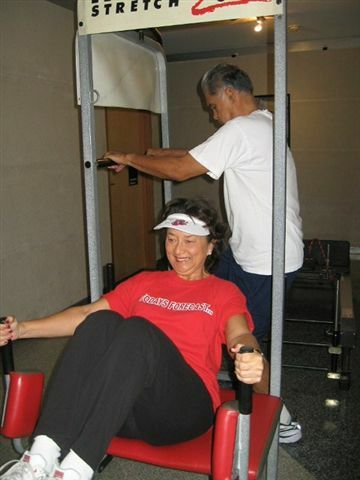 It was suggested by my Physiatrist that I try to do exercise to strengthen the shoulder muscles that were now very weak. 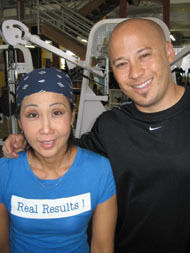 I was referred to Personal Trainer, Eric Yamashita by co-workers who have either trained with him or have heard of his reputation of being a highly qualified trainer. I have now been training with Eric for seven months and it has made a very significant difference in my life. After not being able to lift much with my left arm and being restricted from doing any sports such as golf, tennis, skiing or even swimming for a year, I can now do all of these sports pain-free and basically, am back to norm. Eric has guided me back to full range of motion and increased strength of my arm and has worked on core strength to support me in all the sports I love to play. I just went skiing twice since then without any further aggrevation of the muscles that were weak. Carrying the luggage also on these trips was no easy task! I am grateful for Eric's knowledge of proper training techniques, his consciencious efforts to make sure I don't further injure my previously damaged knee and shoulder, and for all the hours of engaging conversation and laughs that make training with him a great experience! Exercise is a life-long necessity for me. Training with Eric has given me the foundation and knowledge I need to keep doing the activities I enjoy for pleasure and health benefits. Training with him is the best investment I made for my body and for me. I have been weight training for over 25 years. It's been 25 years of overtraining certain muscles while undertraining others; no stretching before or after workouts - all contributing to a partial rotator cuff tear, frozen shoulder, and bursitis. I decided the investment in a personal trainer for the short term would be well worth it. 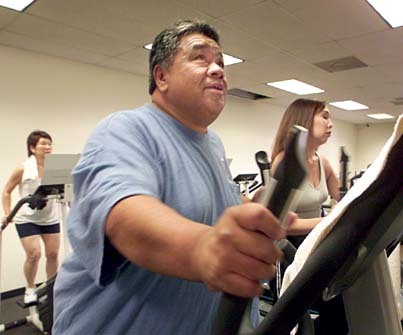 I chose Eric Yamashita over the other trainers I had observed in Gold's Gym for several reasons. I noticed he utilized a wide range of equipment and tools in his training. I could see his relationship with his clients was one of trust, knowledge, and humor. After beginning my training with Eric, I became impressed with his expansive knowledge of women's health issues from pre-natal care to menopause. When I first started with Eric, my orthopedic surgeon said if my shoulder range of motion didn't improve, I would have to begin physical therapy. With the various stretches and shoulder strengthening exercises that Eric has shown me, my shoulder is almost to it's normal range of motion. I appreciate all the help and encouragement that Eric has put into making me a healthy person again. Even though he doesn't train me anymore, as he passes me in the gym, there's always inspiring words and helpful tips that he passes my way. Mahalo Eric! Eric Yamashita has changed my life. That’s a big statement to make, but is completely accurate. Eric weighed me that first day at 252 ½ lbs. We set a goal of 230, and started work. He talked about what I eat, when I eat, the importance of exercise, and got me started. Yesterday, he weighed me at 203 lbs.! I’ve lost 50 pounds in less than one year. My pant size has gone from a 44 to a 36. I am completely amazed, and so are all of my friends and co-workers. What a great feeling it is when someone tells you that you look great. I do! And I feel great too. Eric takes a genuine interest in my progress. Sometimes I think he is even more excited about my progress than I am. As I’ve gotten leaner and stronger, he has begun to alter my workouts, adding different exercises to work on different parts of my body. When I mention a stiff neck or shoulder or back, he immediately has me do different things to work on what ails me. He truly listens and is concerned with my overall well being. I have only one complaint about Eric, one single personality flaw of his that really irritates me: he’s a Cowboys fan! Ugh! Except for that one thing, he is a fabulous trainer, coach, motivator, and friend. You couldn’t ask for a better trainer. And, oh, by the way, I STILL DRINK BEER!! I have been retired since 1994 and was directed into the “Gym” which was the name at that time and have spent time working out on my own. 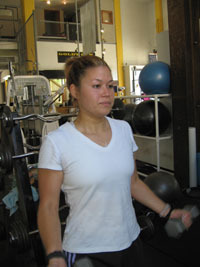 Along the way I met my significant other Leilani, and I got her to working out also. She just recently retired and we felt we needed to address our concerns of growing old with ailments as well as weight problems. Since I have been going to the gym for a length of time I have gotten to know a lot of trainers and they all have their own teachings and methods in obtaining your concerns of health. We are on fixed incomes so I researched the prices to see what we were paying for. Like majority of people in the world, we all want to pay the cheapest prices and get the best training. I teach budget classes once in a while, and I felt that Leilani and I have the same goals and that is to have a good life but we need to address our health and physical concerns. Being on a tight budget we needed to evaluate our priorities and make a decision. We decided Eric Yamashita was the person to train with and added his cost into our fixed budget. 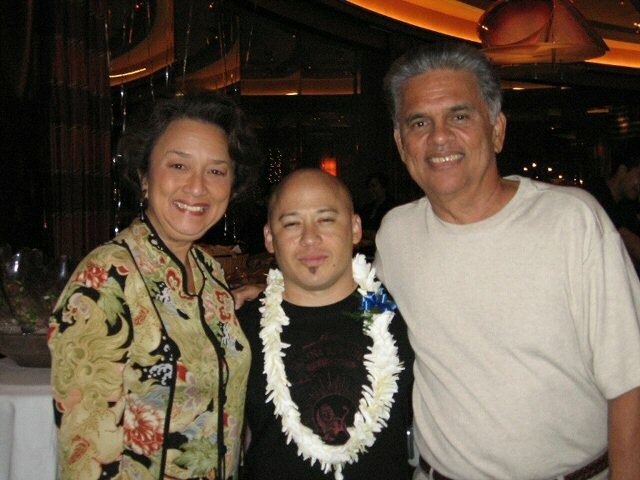 When Eric asked Leilani and I to consider doing a testimonial I did not hesitate at all primarily because Eric has done the job for what we paid him to do and most of all the character he possesses is one in ten million. He gives 100% of himself in teaching, in showing the training involved, and in communicating with you. He implements his teachings with feelings that you are somebody and not a person there just to pay him. We all can go out and buy a materialistic product or goods and think nothing of it, and when training is mentioned we all respond, but it is expensive, but not admitting that training will do the job. I can go on and on about Eric but it wouldn’t serve its purpose. 5. At age 63 and happily retired, I just wanted to feel good about myself. Well Eric answered all of my prayers. Besides training, he motivates me in a positive direction, makes me feel good about myself, and always asks if I’m okay. He is very caring (except when I do ‘jumping jacks’—Ha! Ha!…he knows that is not one of my favorites but I still do it ! ), he makes me laugh, smile and somehow, makes me ENJOY training no matter how hard we work (and I DO SWEAT A STORM), but most importantly, he brought confidence back into my life. He has never made me feel like I’m inadequate. My dreams are being answered with the training and professionalism of Eric. I’ve lost weight ( OVER 10 pounds!! ), my jeans fit me soooo nicely and I feel real good about myself. Thank you Eric Yamashita for being such a master in your trade. Because of you, I am accomplishing so many goals I have set. You are indeed my ‘DREAM COME TRUE”. 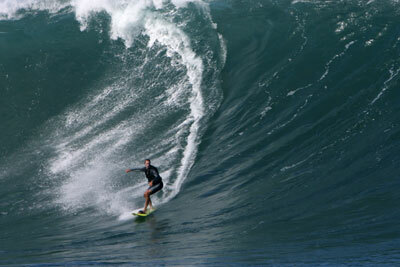 I am 43 years old and love to surf Big Waves! I plan on doing this well past my 60's. My belief is that the only way to accomplish this is to have Eric constantly challenge me with new and exciting sports specific personal training. Training with Eric for the past year has been an awesome experience. Due to his expertise and encouragement, I have gained tone and strength while never being pushed too far. Eric's individualized routines are well-planned and accommodate my areas of concern. He gets great results without the "no pain, no gain" attitude some trainers have. Thanks, Eric, for the positive outcome! !